"And he set masons to hew wrought stones to build the house of God." 1 Chron. 22: 2. I need not say that the building of Solomon's Temple is one of the most interesting studies of antiquity; and when that building on Mount Moriah is seen as the type of God's present heavenly building, it becomes infinitely more interesting. In this building, then, the first thing that presents itself is this: David, the father, provides beforehand the materials of this Temple; even the stones, the iron, and brass in abundance, without weight. He says, "I have prepared for the house of the LORD an hundred thousand talents of gold, and a thousand thousand talents of silver," [Estimated value of this wealth is more than £1,500,000,000 or $6,000,000,000.] This was David's provision for this costly building, in addition to an incalculable quantity of brass, iron, wood, and stone. Besides, the riches of Solomon, the son, were quite equal to those of his father, David. 1 Kings 10 gives some idea of Solomon's riches. More than 150,000 men were employed in the rearing of this wondrous building. (1 Kings 5: 15.) "And the king commanded, and they brought great stones, costly stones, and hewed stones, to lay the foundation of the house," 1 Kings 5:17. Now, what do "great stones" mean? A builder in this country would consider a stone three feet every way a great stone. 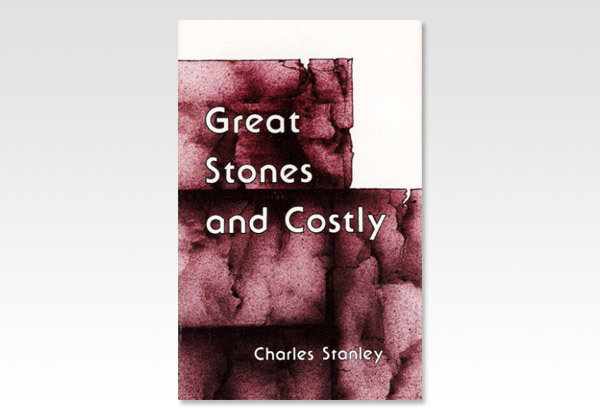 But we find these great foundation-stones, sawn and hewn, were indeed "costly stones, even great stones, stones of ten cubits, and stones of eight cubits."